Listen to them some more. Don’t try to “fix” their problem. Don’t defend God (like Job’s friends tried to do). Pray for the Holy Spirit to give you insight. Remind them of their responsibility now—your choices to go forward, how will you honor their memory, how can you help others in a similar situation, what does this make you think about your eternity? Stay in touch for the long haul (remember the birthday of their dead loved one; be them for the anniversary date of a marriage, the day their loved one died; go to those doctor’s appointments with them; roll up your sleeves and work alongside them). Use your creativity to proactively be there for them. We must take heed that in the present calamities, when war and devastation and heart-break are abroad in the world, we do not shut ourselves up in a world of our own and ignore the demand made on us by our Lord and our fellow-man for the service of intercessory prayer and hospitality and care. Instead when times are tough, Christians ought to be at their best! Open your eyes and you will see opportunities all around you to pray, to open your home, and to open your arms. Jesus said, “Let your light shine before others, that they may see your good deeds and glorify your Father in heaven” (Matthew 5:16). It’s time to open your eyes and get active! Probably like me, the first thing that caught your eye was the title. 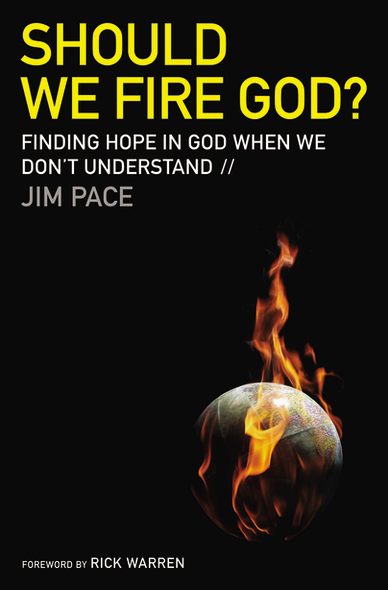 Jim Pace didn’t entitle his book Should We Fire God? just to be provocative. It’s a legitimate question. In fact, it’s a question that so many have wrestled with for centuries: How can God allow bad things to happen? It’s one thing when we in America are asking this question about the genocide in Darfur, or the earthquake in Haiti, or a famine in the Middle East. But what about when it hits so much closer to home? 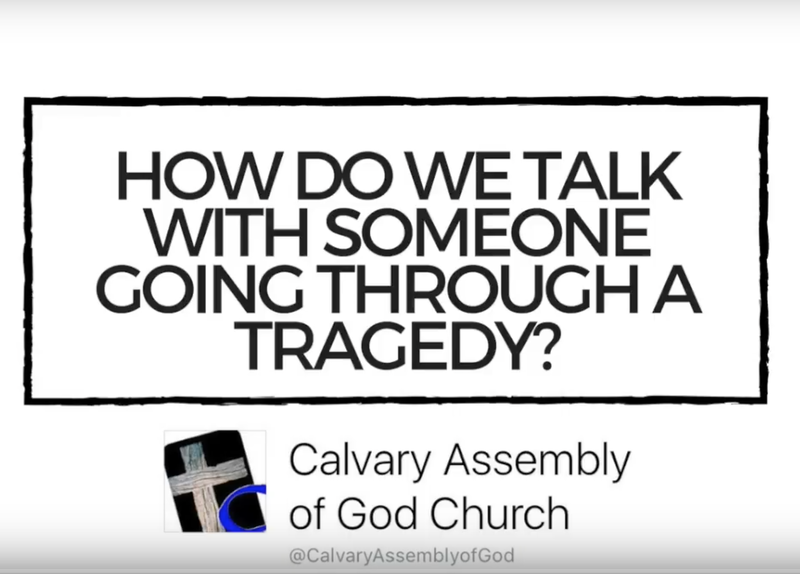 Jim Price was pastoring at Virginia Tech University, when on April 16, 2007, a lone gunman opened fire on the campus killing over 30 people, including himself. Immediately Jim was forced face-to-face with this age-old question: How could this happen? Carefully, honestly, loving, Jim addresses this question. For him, this is not some theoretic exercise. It’s personal. The emotion comes through raw and real. After weighing all the evidence and considering all of the possibilities, Jim reaches the conclusion that…. Well, you’ll have to read Should We Fire God? for yourself and come up with your own conclusion. 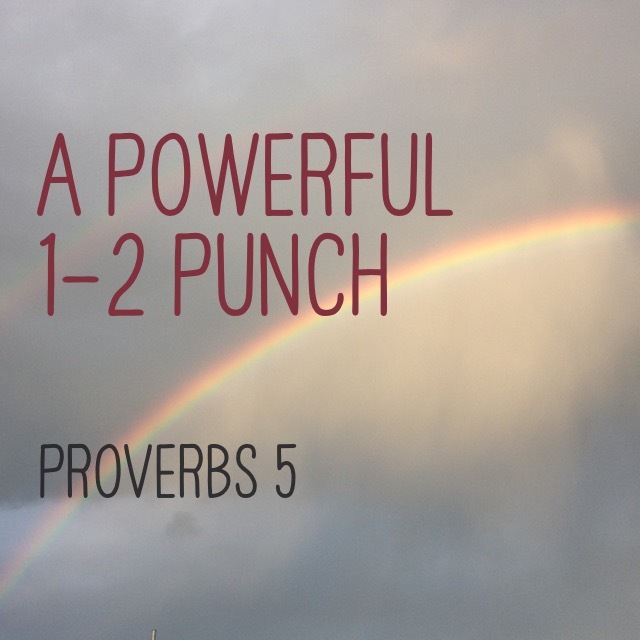 If you’ve ever faced heartache, if you’ve ever wondered how God could allow something tragic to happen, if you’ve ever wrestled with the thought of firing God, you will find some great thinking material in this book. I am a FaithWords book reviewer. Post a comment below telling me what you have learned about God from a difficult circumstance you walked through. Tell others about this contest on Twitter. 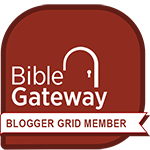 Be sure to point them back to this blog post by tweeting the following: For a chance to win a free copy of “Should We Fire God?” go to http://bit.ly/a9M6EP. Tell others about this contest on Facebook. Put this on your status line: For a chance to win a free copy of “Should We Fire God?” go to http://bit.ly/a9M6EP. I’ll notify the winners by direct email. Good luck! I sliced my thumb open yesterday. Okay, maybe “sliced” is a little too dramatic. But I did cut my thumb, and it did bleed. True, it didn’t gush blood — more like oozed blood — but blood was escaping my body. It was a small cut; perhaps a ¼-inch long. I pressed a tissue on it until is stopped bleeding. I washed my thumb thoroughly with antibacterial soap and water. I applied some Neosporin ointment. And I wrapped the injury in a fresh Band-aid. All of this care and concern for a small cut on my thumb. Do you realize how much one uses their thumb in the course of a day? Trying to rinse dishes in the sink I couldn’t hold the plate or the dish scrubber without my thumb being involved. My thumb was involved when I turned the doorknob of the front door. When I was opening a package of fruit snacks for my son, my thumb was needed for either the holding or the ripping. Ditto when I attempted to open the lid of the Diet Pepsi two-liter bottle. That small cut on the thumb on my non-dominant hand was affecting my entire day. One little cut and my entire body was adversely affected! A friend called me the other day. His heart was ripped open. Okay, maybe “ripped” is a little too dramatic. But he was emotionally damaged. True, he didn’t need a trip the emergency room and he probably won’t have to start taking anti-depressants, but emotional “blood” was escaping his heart. He called me, and I responded. One little wound in my friend’s heart and I was affected! Do you realize how much one’s emotions are involved in the course of a day? 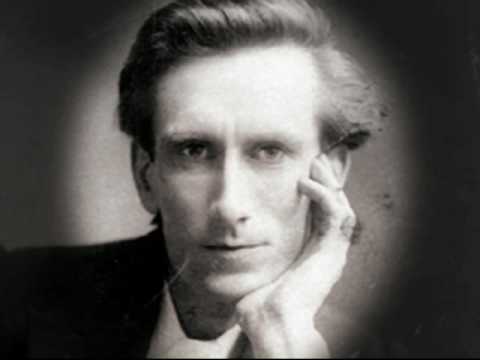 Dr. Paul Brand was a renowned hand surgeon and missionary who worked with leprosy patients in India for years. He learned that leprosy doesn’t mangle a person’s foot or hand, but their lack of ability to feel pain does. They don’t feel the cut on their pinky toe or left thumb, and so they never attend to it. The injury becomes infected, and still no pain registers to tell them to take care of it. Eventually serious, irreversible damage is done. We must develop a lower threshold of pain by listening, truly listening. …The body protects poorly what it does not feel. Are you listening, truly listening to those who are hurting around you today? You are connected to them. If one person hurts, we all hurt. Truly listen. If they are hurting, it does affect you… and me. Let’s find them, bandage them, apply ointment to their wounds, and protect them from further injury. Let’s feel their pain so we can protect them from further pain.